We’re very excited to offer a collection of 9 day-neutral strawberry plants. Because these plants continue to crop all summer, you’ll enjoy a steady stream of delicious strawberries right up until September. 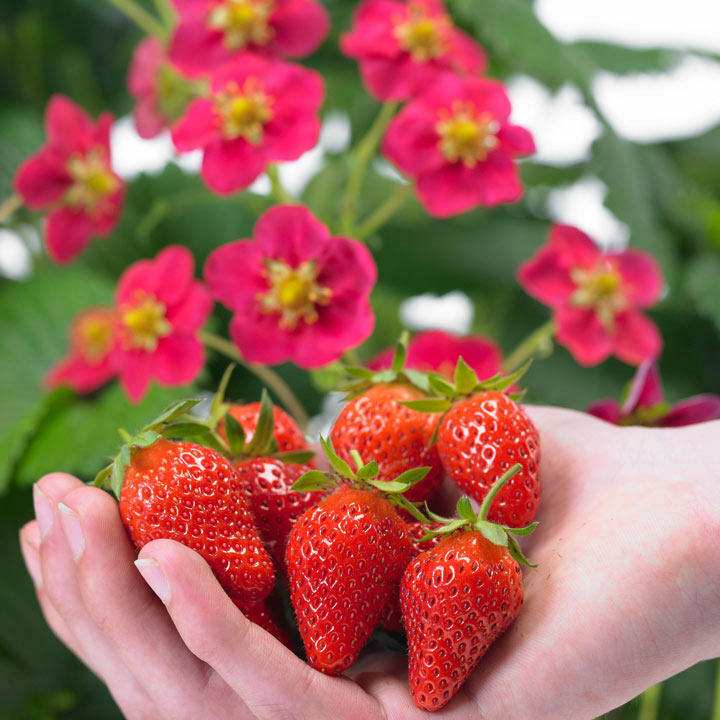 These plants are easy to grow, and every berry has a wonderfully sweet burst of flavour. 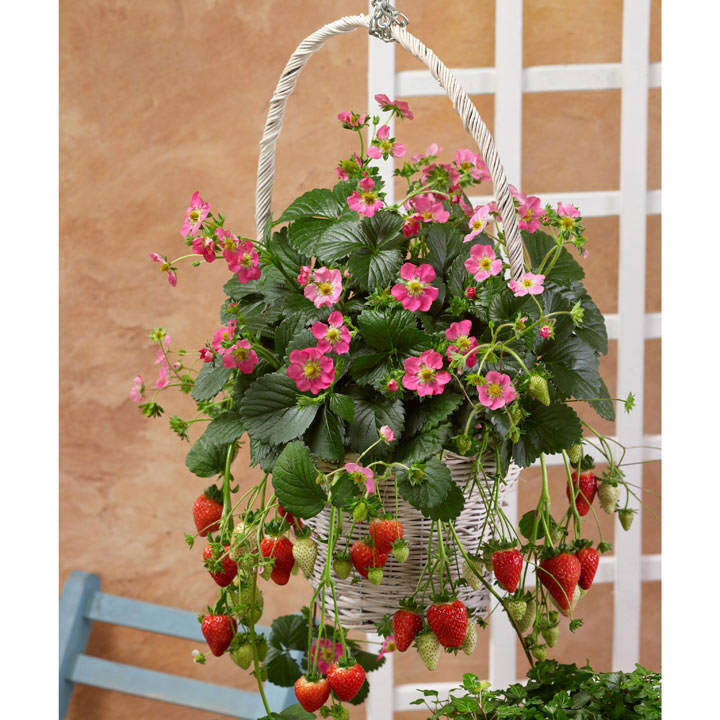 These strawberry plants don’t just deliver on the fruit front though, they also produce beautiful dark pink, white and pale pink flowers, so they’ll create an ornamental talking point on your patio all summer. They’re perfect for containers too, so they’re a great choice if you have a smaller outside space yet still want to grow your own fruit. Our collection includes a mix of 9 plants (3 of each variety) F1 Delizz, F1 Toscana and F1 Frisan. 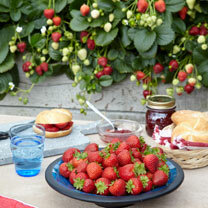 F1 Delizz® - Uniform and compact size, sweet and bursting with flavour all summer until September.